We have a great range of vegetable dog treats here at Direct Pet Supplies Perth to give your dog a great variety of choices when it comes to treat time. Blackdog Sweet Potato Slice Dog Treat 120g Sweet Potato is a good source of dietary fibre. Surprisingly they also contain a high amount of vitamin C, as well as vitamin B6 and compounds such as beta carotene and manganese. So what do all these vitamins mean for your dog? Well by eating sweet potatoes as an addition to their normal diet, you are in fact helping boost their immune system. Dietary fibre is beneficial to your dog's digestive system, and beta carotene..
Dr Chew Sweet Potato Dog Treats Large 227g Dr-Chew®, the original is made of cooked, sliced and air dried sweet potato. It is 100% natural dog chew treat with health benefits like no other products. Dr-Chew®, the original has the right and unique chewy texture that provides dogs with excellent chewing experience. Chewing gives dogs healthy teeth and fresh breath. Dr-Chew®, the original is 100% digestible without blockage problems. Dr-Chew®, the orig..
Dr Chew Sweet Potato Dog Treats Large 454g Dr-Chew®, the original is made of cooked, sliced and air dried sweet potato. It is 100% natural dog chew treat with health benefits like no other products. Dr-Chew®, the original has the right and unique chewy texture that provides dogs with excellent chewing experience. Chewing gives dogs healthy teeth and fresh breath. Dr-Chew®, the original is 100% digestible without blockage problems. Dr-Chew..
Dr Chew Sweet Potato Dog Treats Petite 227g Dr-Chew®, the original is made of cooked, sliced and air dried sweet potato. It is 100% natural dog chew treat with health benefits like no other products. Dr-Chew®, the original has the right and unique chewy texture that provides dogs with excellent chewing experience. Chewing gives dogs healthy teeth and fresh breath. Dr-Chew®, the original is 100% digestible without blockage problems. Dr-Chew®, the ori..
Dr Chew Sweet Potato Dog Treats Regular 227g Dr-Chew®, the original is made of cooked, sliced and air dried sweet potato. It is 100% natural dog chew treat with health benefits like no other products. Dr-Chew®, the original has the right and unique chewy texture that provides dogs with excellent chewing experience. Chewing gives dogs healthy teeth and fresh breath. Dr-Chew®, the original is 100% digestible without blockage problems. 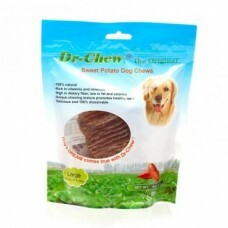 Dr-Ch..
Dr Chew Sweet Potato Dog Treats Regular 454g Dr-Chew®, the original is made of cooked, sliced and air dried sweet potato. It is 100% natural dog chew treat with health benefits like no other products. Dr-Chew®, the original has the right and unique chewy texture that provides dogs with excellent chewing experience. Chewing gives dogs healthy teeth and fresh breath. Dr-Chew®, the original is 100% digestible without blockage problems. Dr-Ch..
Dr Chew Sweet Potato Dog Treats Small 227g Dr-Chew®, the original is made of cooked, sliced and air dried sweet potato. It is 100% natural dog chew treat with health benefits like no other products. Dr-Chew®, the original has the right and unique chewy texture that provides dogs with excellent chewing experience. Chewing gives dogs healthy teeth and fresh breath. Dr-Chew®, the original is 100% digestible without blockage problems. Dr-Chew..
Dr Chew Sweet Potato Dog Treats Small 454g Dr-Chew®, the original is made of cooked, sliced and air dried sweet potato. It is 100% natural dog chew treat with health benefits like no other products. Dr-Chew®, the original has the right and unique chewy texture that provides dogs with excellent chewing experience. Chewing gives dogs healthy teeth and fresh breath. Dr-Chew®, the original is 100% digestible without blockage problems. Dr-Chew®, the orig..
Dr Chew Sweet Potato Snack Frys 454g Dr-Chew® Dog Treats are made of freshly harvested, selected, completely peeled, fully cooked and air dried sweet potato ONLY without any additives and preservatives. 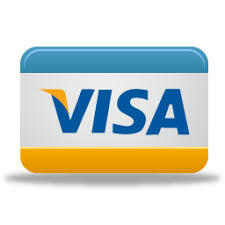 The products and process are all natural. Products Information Dr-Chew® is 100% sweet potato, 100% natural, Rich in beta-carotene, C, B6 and E, High in dietary fibre, Low in fat and calories Good sourc..